Parents are always looking for a way to get kids active and get them out of the house, but you may not have considered getting you child involved with the cadets. Joining the cadets can give your children a range of life skills, as well as adventure and fun. Cadets are between 12 and a 1/2 and 17 years of age, and there are over 200 groups across Australia that meet every week; both girls and boys are encouraged to join. At cadets you will learn basic skills such as bush survival, first aid and field craft; in this sense cadets is quite similar to Scouts or Guides. As well as your usual outdoor and survival skills, cadets will get an insight into the work of the Australian Defence Force. Cadets will participate in ceremonial parades, drills, roping and repelling and the use of service firearms. Learn about all aspects of Defence Force life and gain some useful skills like first aid, radio communications and the use of technical and mechanical equipment. Within the cadets, you can choose to join the Army Cadets,Navy Cadets or the Air Force Cadets. Each of these have their own skills and adventures. As an Air Force cadet you can learn to become a pilot and to fly planes, you can also try out the Air Force gliders. Navy cadets will get to experience a range of water activities. Joining the cadets teaches your child leadership skills and teamwork, which are some valuable life skills. It is a great opportunity for children to make friends and socialise. 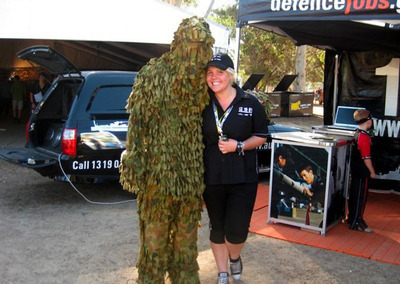 Cadets will also get the chance to meet members of the Australian Defence Force and work with them at things like expos. Joining the cadets is a great opportunity for anyone who is considering a future career in the Defence Force. Obviously the cadets will not be for every child. Also some parents may be sensitive to some of the cadet activities; to fully understand the options and possibilities with the cadets, contact your local group. Chat with your child and find out whether the cadets is the right path for them.